We had heard a few weeks ago that the Meizu MX dual-core model would be launching in January 2012, and now there are reports that a quad-core Meizu MX will be out in May of 2012. That may seem like a pretty quick turnaround, especially when you consider that both reports come from official sources. The new report comes directly from Meizu's CEO J. Wong in the official Meizu forums, although not much is known about the handset. All we really know is that it will be a quad-core CPU and it will be running Android 4.0. We can assume, based on other Meizu handsets, that it will feature the same unique custom UI that originated from custom ROM developers who were recruited by Meizu. Other than that, we don't know anything, but rumors are being circulated that it will feature the quad-core Exynos 4412 CPU, although the only real evidence of that is that the dual-core Meizu coming in January will be packing the dual-core Exynos 4210, so let's not hold our breath on that one. What is a Meizu ? ya i didnt think they did.. i just put android or something cause i didnt really know what it was..
Cheap chinese electronic garbage manufacturer. Funny how everyone can make dual and quad core smartphones nowadays. Powerful CPU in smartphone is not even an accomplishment anymore. 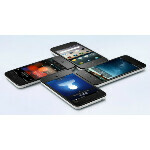 Meizu differs from the "cheap chinese electronic manufacturers". They already made a few good products and they didn't copy their design from the iPhone, they were first. You do know that most of manufacturers have assembling lines in china?